Lyon, the third largest city of France is often looked at by foreigners as a pass through city; over the Summer months thousands of people drive through Lyon on their way to the French Riviera or Spain. Earlier this month, my yearly trekking to the ski-slopes in the French Alps was however the reason for my one night stay in one of the hotels near the Lyon Saint-Exupéry airport. 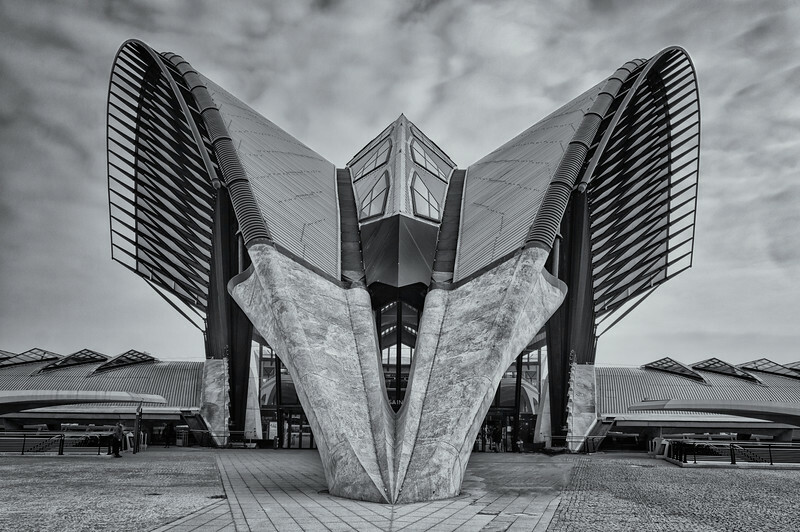 One thing not to be missed for anybody interested in modern architecture, is the train station, designed by renown Spanish Architect Santiago Calatrava. The project was initially started in 1989 and was supposed to be ready for the 1992 Winter Olympics in Albertville. Delays however pushed the official opening into 1994. Although it makes me think about a Spaceship, the perfect symmetry of the main building, officially was inspired by the wings of a bird taking-off. Either way, it remains a great subject for some black and white architectural photography. A few more images of this dramatic building can be found here. Even though my day-job as an airline pilot, makes me travel more than the average photographer, I'm often limited to less than 24 hours to shoot in. Such was the case a few weeks ago, when I was in Rome; one of my favourite cities for travel photography. Not rare for Italy, the city center was locked down because of a strike the day I was there. 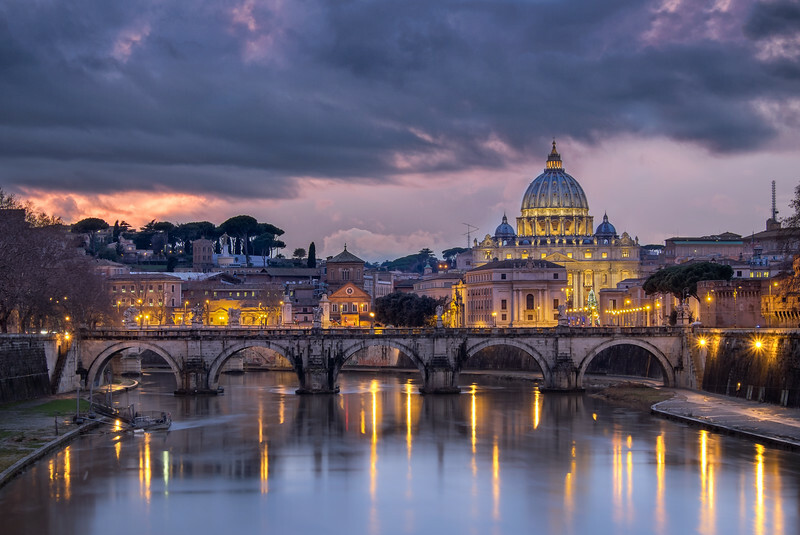 It became a bit of an expedition to get from my crew hotel near the airport, to the spot I envisioned in the center of town; the Sant' Angelo bridge over the Tiber river which is a great spot to photograph the Saint Peter's Basilica (Vatican city) at sunset. To add even more to the drama, it started raining just when the best light was about to hit the scene... At least I didn't have to worry about my camera as the Fujifilm X-T1 is weather-sealed! Those of you following me on social media, might have seen a different shot from the same place in a portrait orientation, called "The Vatican is on fire". Remember, "Just as Rome was not built in one day, an image is sometimes not made in one shot neither". As I'm writing this while on a weeklong ski-holiday in the French Alps, it's only normal to post a snowy landscape image for my Pic(k) of the week! The aerial image below is however not of the Alps but of the Northern-Eastern part of Turkey. Unlike what most people think, winters in Turkey can be very harsh with lost of snowfall. 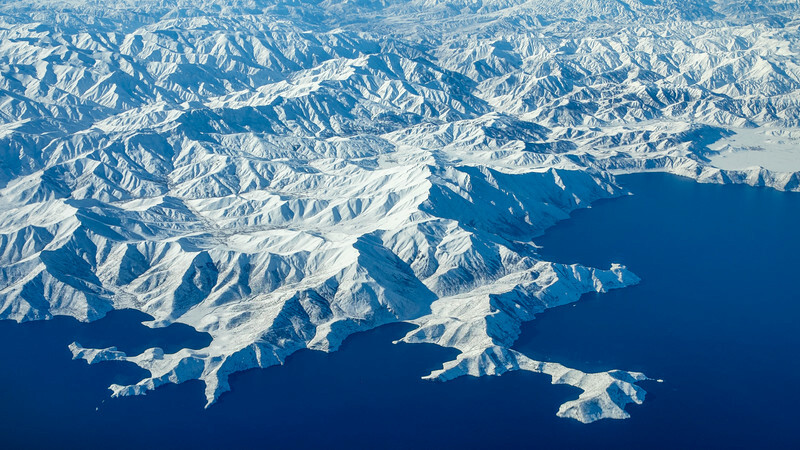 The image was taken when flying over Lake Van; with a maximum length of 119km and a total area of 3755 sqkm this is Turkeys largest lake. Even though the surface elevation of the lake is 1640m (5380ft), the water doesn't freeze because of its high salinity. More aerial images can be found here. Over the years, I photographed the ever changing Dubai skyline from a lot of different angles. One of the advantages is that the next day is often a crystal clear day with unlimited visibilities. Perfect to go to the edge of the desert and photograph the Dubai skyline from a different perspective. The image below of "The Villa" housing compound, consists of 9 images shot in portrait mode, stitched together as a large panorama. At almost 12000pixels wide the amount of detail is pretty amazing. Be sure to click on the image on a large screen to fly enjoy it. It remains remarkable how over the last 15 years, the Dubai desert is slowly loosing from the city. Something I hope to express in the above image. More images of the Dubai skyline can be found here.